Alan is the senior lawyer at this firm. Alan obtained his Bachelor of Arts degree from York University. He received his LLB from Osgoode Hall Law School, and completed his articling for the Crown Attorney's Office in Whitby. Alan was called to the Bar by the Law Society of Upper Canada in 1978. Alan practices exclusively in criminal law, and has done so for the past 40 years from the same office located in downtown Oshawa. He has conducted trials throughout Ontario on charges ranging from domestic assault to impaired driving to murder, and various other charges under the Criminal Code and federal statutes. Alan has also argued cases in the Court of Appeal, as well as the Supreme Court of Canada. He has lectured at Osgoode Hall Law School, taught at Durham College, and has been a guest speaker at many legal conferences. 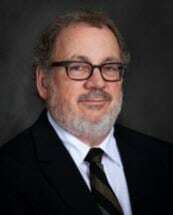 He was also the President of Durham Region Law Association, and has been the representative of the local Bar on numerous committees relating to the administration of justice in this region. Alan is a member of the Advocates' Society, Criminal Lawyers Association, and is certified as a Specialist in Criminal Law by the Law Society of Upper Canada.